Based on the Arduino Leonardo design, the board is built around an ATmega32u4 MCU and boasts a sturdy USB connector, enhanced PCB layout, as well as a blue LED that can be used to indicate the link status. 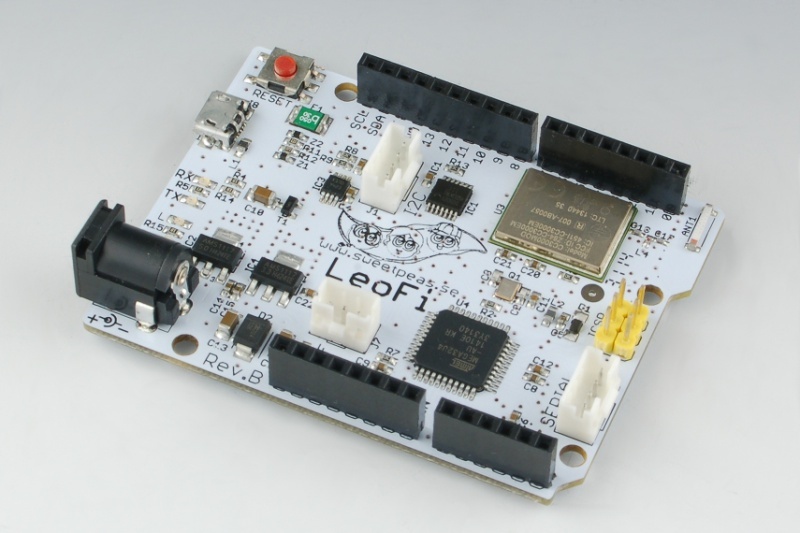 The LeoFi features the popular CC3000 module along with a new 3.3V voltage regulator that feeds the onboard Wi-Fi chip. Sweet Pea has developed an extensive library that will handle all aspects of communication with the Wi-Fi module, allowing Makers to focus their attention more so on the project. This library also contains examples on how to create a web server, a web client, how to send a mail, among several others that can be found over on Github. Furthermore, LeoFi offers direct support for data collection services such as Xively and Sen.se, paving the way for countless applications including temperature collection, furnace alarms, and even robot controllers. Makers can use this board to interface any Wi-Fi-enabled devices to their PC, as a mouse or keyboard using the built-in module and USB interface. As its creators note, the board includes a chip antenna which makes it out-of-the-box ready, meaning no external cables or antennas are necessary. The team recently began shipping the latest rendition of its device dubbed “Revision B.” This board is equipped with three new connectors to easily allow for it to connect to external sensors and/or expansions. These connectors include: a 4-pin I2C connector with SCL, SDA, +5V and GND; a 4-pin serial connector with RxD, TxD, +5V and GND; and a one-wire connector with +5V, GND and a GPIO pin with 10K pullup. Interested in learning more about this megaAVR powered board? Head over to its Wiki page here. 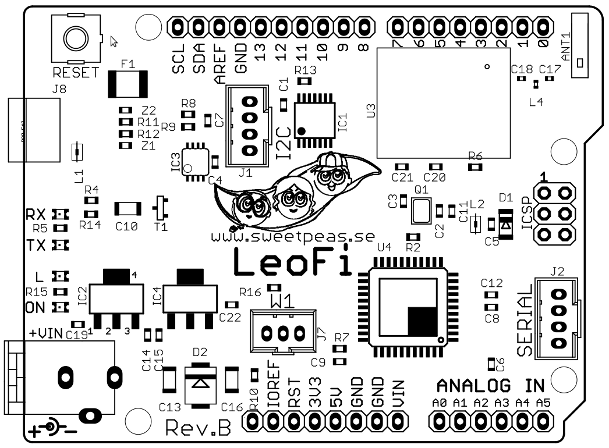 This entry was posted in Arduino-Compatible, Maker Movement and tagged Arduino Leonardo Compatible, Arduino-Compatible, ATmega32U4, LeoFi, megaAVR on October 28, 2014 by The Atmel Team.